Artemisinin is a sesquiterpene lactone isolated from the aerial part of sweet wormwood in the 1970s. It is the base for one of the most effective medicines for the treatment of malaria and is widely used. Over the past two decades many in vitro and in vivo studies have been conducted with artemisinin. They detected the anticancer properties of this drug in relation to some cancer cell lines. The aim of the study was to review the scientific information on the study of clinical cases and the results of clinical trials with the use of drugs based on artemisinin derivatives. The study used information retrieval and library databases, as well as ResearchGate applications for semantic search. During the study, it was found that most of the known clinical cases and performed clinical studies are associated with the study of the anticancer properties of one of the artemisinin derivatives – artesunate. The data obtained by various research groups at the moment does not allow us to speak to the pronounced properties of the latter. However, the facts of extending the life of patients, improving its quality, and increasing control over the disease have been established. It can be concluded that the published data of clinical cases and clinical studies conducted from 2001 to 2016 instill restrained optimism associated with the prospect of using drugs based on artemisinin in oncology. On November 2018 at XXII Russian Oncological Congress Professor Dennis Slamon, the Head of the Department of Hematology and Oncology of the University of California in Los Angeles and founder of targeted cancer therapy, made a speech. In his speech he talked about the development of modern approaches to the treatment of breast cancer (BC) including the most important discoveries in this area. Dennis Slamon noted that breast cancer is one of the most common cancers in women. In the United States alone more than 200 thousand breast cancer patients and over 39 thousand deaths are registered every year. For a long period breast cancer was treated with traditional methods of chemotherapy, while the outcomes in patients varied significantly. The situation was changed after it was realized that breast cancer is a spectrum of diseases, the most aggressive forms are associated with overexpression of human epidermal growth factor receptor 2 (HER-2). This type of cancer, called HER 2-positive, is detected in 20-25% of patients with breast cancer and is one of the least favorable forms of the disease. The discovery made by prof. Slamon led to the creation of a monoclonal antibody that inhibit the HER-2 receptor, and made it possible to completely change the fate of a huge number of women. Today HER 2 positive breast cancer is treatable with adjuvant therapy in patients. 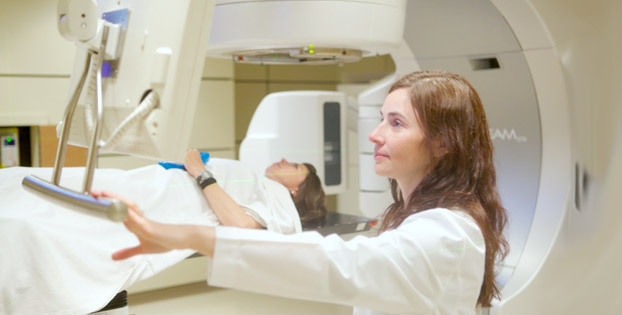 Currently, patients with HER2-positive breast cancer have the most favorable prognosis of the disease. All over the world 3 million of breast cancer patients have already been treated. The scientist also raised the issue of therapy for patients with HER 2-negative hormone-positive breast cancer, and mentioned that these tumors are up to 65% of all breast cancers. For the treatment of such patients hormonal anticancer drugs are used, but the therapy doesn’t always lead to the expected result. In order to solve this problem in 2009 under the guidance of prof. Slamon scientists began to research cyclin-dependent kinases (CDK), a group of proteins that play a leading role in regulating the cell cycle. As a result CDK inhibitors have been developed. But the CDK inhibitors were broad-spectrum drugs, their use was accompanied by severe toxicity. The answer was the creation of a selective inhibitor of CDK 4/6 (cyclin-dependent kinases 4 and 6). Already the first clinical trial involved 12 patients showed that the drug inhibited tumor growth until its complete disappearance. The level of white blood cells in patients did not decrease, the patients did not go bald, none of them complained of nausea. A larger clinical trial where 165 women participated showed while taking CDK 4/6, the period of tumor control increased by 2 times: from 10 to 20 months. The cases of complete cure were recorded. According to the international multicenter CT where 660 women participated including Russian patients, the new drug was approved and brought to the market. Today several drugs of this group are registered in the world, including two drugs registered in Russia. The Congo authorities approved four clinical trials to combat with Ebola. Researches help to collect the necessary data to evaluate the effectiveness of medicines. Since 1975, 10 outbreaks of Ebola have been recorded in the Congo, the last one was identified this year as the largest of the hole observation period. Congolese doctors have been using experimental drugs in clinical practice since August to fight a fever. Now, their use will be regulated by the study protocol. All four experimental drugs are monoclonal antibodies mAb114, they are similar in structure to antibodies to the Ebola virus, obtained from the blood of an African who has had this infection. Cases of Ebola were recorded in the Congo province of North Kivu since April of this year. In the summer, the situation worsened after the infection was brought to the neighboring province of Ituri. In this area, the elimination of the outbreak is hampered by the ongoing clashes between local militias. 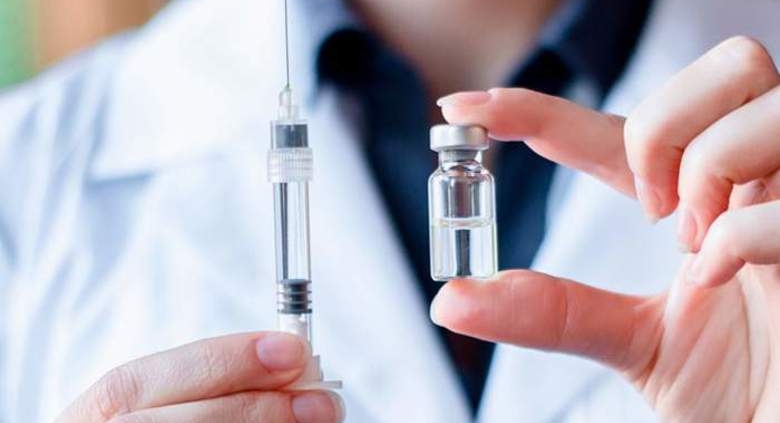 The European Commission approved the use of monoclonal antibody Emgality (galcanezumab) for injection one time per month for migraine prevention in adults who suffered from migraines attacks at least four times per month as PharmaTimes reported. One month ago the FDA also approved the use of the drug in this indication in the same patient population. Emgality developed specifically for migraine prevention blocks calcitonin gene-related peptide (CGRP) receptor associated with migraine attacks and also reduces the rate of migraine attacks per month. According to three clinical studies (EVOLVE-1, EVOLVE-2, and REGAIN) where 2 901 subjects participated, the group received Emgality experienced a significant decrease in MHD compared to the placebo group. In EVOLVE-1 and EVOLVE-2, more than 1/3 of subjects achieved MHD decrease by at least 75% compared to 19.3% and 17.8%, respectively, in the placebo group. Migraine occupies the third place in the world in the list of the most common diseases and takes the leading position among neurological diseases causing disability. Since the middle of the 20th century many doctors began to consider high doses of B vitamins as a symptomatic and pathogenetic therapy. 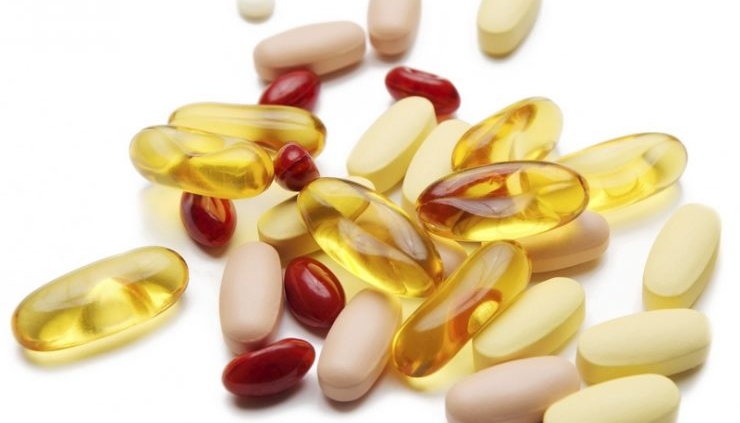 B vitamins are neurotropic. They significantly influence on the processes in the nervous system, for example, metabolism, metabolism of mediators, or transmission of excitation. Vitamin B1 (thiamine) is involved in nerve impulse conduction; it also provides axonal transport that influences on the regeneration of nervous tissue, modulates the neuromuscular transmission, as well as regulates the excitation of the nerve. Vitamin B6 (pyrodoxine) is a co-factor for over 100 enzymes. It influences on the structure and function of the nervous tissue and firstly regulates the metabolism of amino acids, thereby ensuring the normalization of protein metabolism; this vitamin also participates in the synthesis of various mediators. Vitamin B12 is involved in the synthesis of the myelin sheath of the axons of nerve cells. It reduces pain when a peripheral nervous system is damaged. Combination of high-dose B vitamins in the treatment of acute back pain is safe and effective, as it is confirmed by clinical trials. In experimental models, the combination of high doses of thiamine, pyridoxine and cyanocobalamin was shown to be able to inhibit the passage of pain impulses at the level of the posterior horns and thalamus, to enhance the effect of norepinephrine and serotonin, and to promote the regeneration of nerve fibers. There is an assumption that the combination of В vitamins inhibits the synthesis and / or blocks the action of inflammatory mediators. We are pleased to announce that the grand opening of the X7 Clinical Research Clinical Center took place on November 15! The opening was attended by representatives of leading Russian pharmaceutical companies and other representatives of the pharmaceutical industry. X7 Clinical Research is a modern center specializing in conducting bioequivalence clinical trials, phase I-III and post-marketing research of drugs in all therapeutic areas. The main principle of the center is to conduct clinical research at the highest level of quality that complies with local and international legislation, as well as ensuring the safety of research subjects. Thanks to all who attended this event! Detailed information you can find on the website of the center and in the Vkontakte group. X7 Research will participate in the Forum Clinical Trials Russia 2018. Clinical Research in Russia is a strategic meeting point for industry professionals and the only event covering the entire clinical research sector in Russia. More than 150 participants representing the widest range of industries in Russia and abroad, annually gather at the conference. This event provides a unique and invaluable opportunity to meet with colleagues and discuss the main challenges that companies face. We will be glad to meet at the conference! 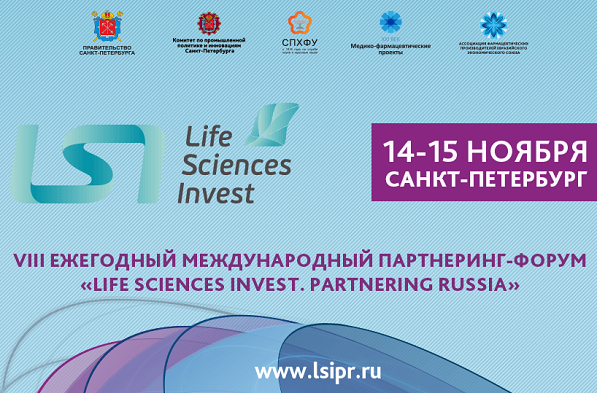 X7 Research will take part in the VIII INTERNATIONAL PARTNERING FORUM “LIFE SCIENCES INVEST. PARTNERING RUSSIA”. The forum aims to support current federal initiatives to develop the pharmaceutical market as one of the key areas that provide a comfortable life and stability, creating the basis for a dynamic economic growth of the country. Unlike most events held on this topic, the Forum does not have a pronounced conference focus, concentrating on the “live” business communication of participants and on organizing discussions on the most relevant topics for the industry. We will be glad to see you on the forum! We are pleased to announce that the X7 Clinical Clinical Center has received accreditation for the right to conduct clinical trials. The ceremonial opening of the center will take place on November 15th. X7 Clinical Research is a modern center specializing in conducting clinical trials of bioequivalence phase I, phase II, phase III and post-marketing research of drugs in all therapeutic areas. The main principle of the center is to conduct clinical research at the highest level of quality that complies with local and international legislation, as well as ensuring the safety of research subjects. The key activities of the center are research of bioequivalence and phase I, as well as conducting studies of therapeutic equivalence and phase III. The work of the center implies strict adherence to the principles of Good Clinical Practice (GCP). The equipment and infrastructure of the center are fully consistent with international standards for clinical research. Detailed information you can find on the website of the center.